Speaker application with Delegate or Exhibitor registration forms. In order to market your presentation appearance at this event via the event website and advertising please complete speaker application form before 15 March. Question: Why do the speakers have to pay admission fee? Answer: The Forum is a commercial and very costly event. The costs are subsidised by the payments from the Forum participants, exhibitors and sponsors. By choosing to participate in the Forum with presentation participants will receive additional benefits. Question: What are the benefits of presenting at the Forum? Answer: Speakers and panellists are empowered with many opportunities for raising their profile and disseminating information about their projects, ideas, experiences or products to the Forum’s audience. All presenters will have a dedicated profile page with the interactive form created on the Forum website. Other Forum participants will be able to reach speakers before or after the Forum via the form. Speakers’ profiles will also be published in the Forum catalogue. Presentation slides will be included in the material CD packs distributed to all delegates. Majority of the presentations are recorded on video and posted after the Forum on MINEX Forum YouTube channel. 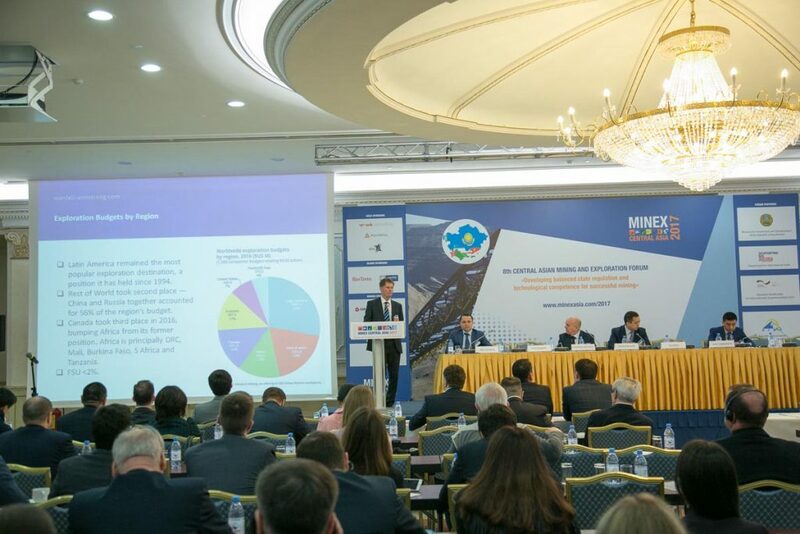 To extend further exposure to MINEX Forum’s subscribers, the Forum speakers will also be able to add their profile and publish materials on MINEX Eurasia Mining information portal – www.minexforum.com. Current circulation of MINEXForum.com exceeds 50,000. Question: In what particular cases speaker’s admission fee can be waved or reduced? Answers: Speakers who represent exhibitors and sponsors are provided with the admission pass to the Forum event as part of the exhibitor or sponsorship package. Up to 50% discount can be offered to speakers presenting on behalf of an Academic institution or NGO. Free admission can also be offered to eligible investors and official representatives of the Government departments, Ministries and Embassies. Question: In what language should I present? Answer: All sessions of the Forum will be provided with the simultaneous Russian and English translation. Question: Can I present in English and have slides in Russian or vice versa? Answer: Yes, you can. Please note that we do not have facilities for organising simultaneous presentation of slides in two languages. Question: What presentation equipment will be provided? Answer: The meeting rooms will be equipped with the lectern, clicker to change slides, push to talk microphones for speakers, handheld microphones for Q@As, projector screen, headphones and simultaneous translation transmitters. All presentations submitted by speakers prior to the Forum will be pre-loaded on our computers and ready for on-screen projection. Question: Are there special rates for accommodation? Answer: Special discounted rates are offered to the Forum delegates at Radisson Astana and Park Inn Astana hotels.